Interviewer: Welcome to The Parentz Pod, the Arizona baby and toddler podcast from First Things First. I’m Kay Vilay. Today, we’re going to talk about stress and the big emotions that come with it. All parents feel stress, and so do young children, even babies. We’ll talk about being a stress detective, how parents can recognize the difference between misbehavior and when a child is simply dealing with more stress than they can handle. We’ll talk about how important it is for parents to regulate their own stress levels, and we’ll distinguish between self-regulation and self-control. They’re actually two different things, and understanding the difference can help you do better as a parent. Our guest is an expert on the subject of self-regulation. Dr. Susan Hopkins is the executive director of the MEHRIT Centre, an educational organization based in Canada that works to translate research and learning about self-regulation into practices that benefit children, parents, teachers, and schools. We recorded this conversation with Susan from her home in Canada. So in addition to her Canadian accent, you may hear a bit of digital static from time to time, but it won’t get in the way of her very helpful information about this important topic. Welcome, Susan. So glad you could join me today. So I understand you work a lot with adults in early learning settings. Do you want to talk a little bit about that? Interviewee: Yeah. Well, we’re working with adults in early learning settings, adults across the lifespan, really, and focused on children. Our area of work is self-regulation, so that’s understanding about the brain’s response to stress and managing energy and tension and its impact on behavior, learning, wellbeing, mood, you name it. So we’re working across Canada. We’re centered here in Canada, so definitely lots across Canada, but folks are asking these same questions about how do we deal with kids that are – toddlers and children that are struggling with self-regulation, and how do we deal with our own levels of stress that are escalating? And it’s really – the context is different. So if you go into a small community, their realities are very different from a big city, and yet at the core, there’s some commonalities as well. Interviewer: So there’s different types of stress, in other words? So different factors that might be contributing to a child or a family’s stress factors? Interviewee: Yeah, absolutely. I think it’s important to say from the start that stress is not a bad thing. It gets a bad name, and we often, all of us are talking about feeling over-stressed at various times of the year, and so that’s sort of a cultural understanding of what stress is. But when you really understand it from the science, you know, a scientific perspective, stress is really something that causes a response in the brain/body, and it – I mean, it’s how you learn. It’s actually what gets you up in the morning. There’s stress involved in just part of everyday life. What we’re concerned about is excessive stress, and the signs when it’s too much, and we see that in children. But what’s common about them is that we as individuals have brains and bodies that respond to the stressors in certain ways, and sometimes, they can be too much, and we see the signs of that in behavior and learning and mood and you name it. Interviewer: So stress, when it gets too much, it can really impact and effect a child’s development? Interviewee: Oh, absolutely. Think about a – even think about for yourself, imagine a time that if you just think back to something recently when you had a day that you responded in a way to a situation that you didn’t like very much, that you weren’t proud of, not your best moment, if you will. So you got a little frustrated with somebody in a traffic line, or you got a little short with a loved one that you love. Or sometimes many of us that are caregivers and working in the early years with children and families, we have all this patience for everyone else, and then we go home to our own family, and we don’t – we may be a little short. Any of those things that are those moments that we’re like, oh, I wish I’d have done that better. If you actually have a look at it through the stress and the brain/body, understanding that, that energy is a finite resource, and when we have a million things on the go all the time, it can reach that point when it’s just too much, and it actually shifts our states, our brain/body state. And it can have these responses that, again, will leave it – in a child, you might see something that looks like – they have a meltdown when it’s time to put on their clothes at the end of the – of the day at the center. Or they seem to be just fine one moment, and then they’re kind of whacking their little friend the next moment, or the massive meltdown at the local store. And when you begin to look at it as that, you might think of that as behavior issues, so you might say, oh, he needs to learn and take responsibility and all of those sorts of things. That’s sort of the self-control mindset, that it’s all about him knowing better and doing better. These are little ones, right, and they – when we see these signs, we know that it’s a sign of excessive stress, and it actually changes how the brain/body works. And that can have – if you have stressors over long, extended periods of time that are more than you can manage, they can absolutely affect child development. Interviewer: Very interesting. So it sounds like self-regulation is one of those important cornerstones for early in life, as an infant, toddler, with your parent, your family, but leads to sort of these really good long term outcomes, too. Interviewee: Yeah. Well, it’s absolutely necessary. And we’re talking about it as a very – in a very cognitive way, about intentionally developing it. But the brain/body are wired for this, and every child – you know, sometimes people will say, well, they’ll think that children aren’t ready to learn self-regulation. And that’s a misunderstanding and thinking about it as self-management. Infants come into this world, human beings are unique and interesting, and the complete dependence on the caregiver when you come into this world – and it begins in utero, obviously, but that’s what – the nervous system has these responses to stress, and it’s what’s calming. It’s the calming, it’s being able to respond to the stress and come back down. And every little bit of new learning causes a stress response, and then it’s that calming, about feeling safe. So it absolutely is across the lifetime. Interviewer: Very interesting. So when babies get fussy, for example, it’s not that they’re acting out or behaving sort of against their parents, necessarily. It’s more that they’re reacting to the stress. Interviewee: Yeah. Absolutely. You know, it’s a myth that we think of you can spoil a baby. It truly is. It’s recognizing that you’re going to teach them to respond in a certain way by not giving in to like a fuss, for example, when instead, parents have that sort of thinking because they really care about their kids and they want to do the right thing by their kids, and so they don’t want to support what looks like naughty behavior or fussy behavior in an infant, even. But when you actually look at it through – just imagine. I like to think about – imagine you had the FitBit of the future, right, and you could – you know, when you put the FitBit on, and we can see heart rate’s elevated. That’s a stress sign, right? And we can imagine we could see all the neurotransmitters, the signs of stress going on in a brain and body, and would recognize, you know, this isn’t about choosing to be bad. It’s about – it’s about needing the support and having – the stressors are more than you can manage, and the fussiness is just a result of that. All that is, it’s like the tip of the iceberg. It just tells us, hey, something’s going on here, and our child needs us to help them through it. Interviewer: So is that different from self-control? Interviewee: Yeah, it is, and this confuses folks. If you Google right now self-control, you’re going to come up with a million different links that’ll all lead – some of them will be about media self-regulation, some of them will be about kids and self-control, the marshmallow test, that sort of thing. And so that in my perspective is one of the challenges, because we’re using the words, like self-control and self-regulation, interchangeably, and they’re really two different things. So it’s important to say that the definition that I’m working from – we work with Stuart Shankar’s work, and many others are working in this field, and it really comes from psychophysiology, and understanding sort of the original definition of stress, and that came from looking at metals, and an airplane wing, and if it had a little crack, you know, how much could it endure, right? And so it’s really about understanding that a stress triggers a tension in the body, and causes a response in the body to energy, use of energy, to response to and then recover from. So I’m not a neuroscientist. My degrees are all in the field of education. I like to take this and try to understand how to apply it. But it has a huge difference, because if you _____ the problems you’re dealing with are self-control, it can be very frustrating as an early childhood educator or a parent, and you’ve tried timeouts, you’ve tried accountability, you’ve tried strategies like checklists or tick charts or conversations, and you’re trying – let’s say you’re trying to change a behavior. You’ve got a child that – I don’t know, is having a meltdown every morning, or is getting in trouble with his peers, or a parent. Maybe you have a parent that’s not coming on time every day when they’re supposed to come to pick up the children from the center. And you’ve tried all of these strategies that are related to positive reinforcements, and they don’t work. And we get frustrated. We’re like, why isn’t that working? And if you understand it as an issue of self-regulation, and you look at what’s beneath – like why wasn’t self-control available to them? So the child that’s taking the meltdown in the store didn’t decide to take the meltdown in the store. Interviewer: So it’s about maybe taking a step back as a parent and not necessarily trying to address or deal with the behavior, especially if you’ve tried all those tactics, and sort of still left frustrated, but rather than taking that step back and looking at what’s stressing my kid out. Interviewee: Yeah, absolutely. And it’s having – I had an _____ once tell me when I was working with her to use the language of soft eyes. So it is about compassion and soft eyes, but it’s also about recognizing that kids – Ross Green talks about kids doing well when they can. And when they can’t, what more is going on here? And you know, as well, we have to look at our own stress states in the situation. We can escalate, escalate things, or we can calm things down as well. And just think about a moment when something dramatic happened in your life. So it could be, I don’t know, somebody yells at you for no reason at all, and you feel that – I used to call it the red brain kind of feeling, and that’s the language we use. And it’s almost like you can’t think straight in that particular moment. 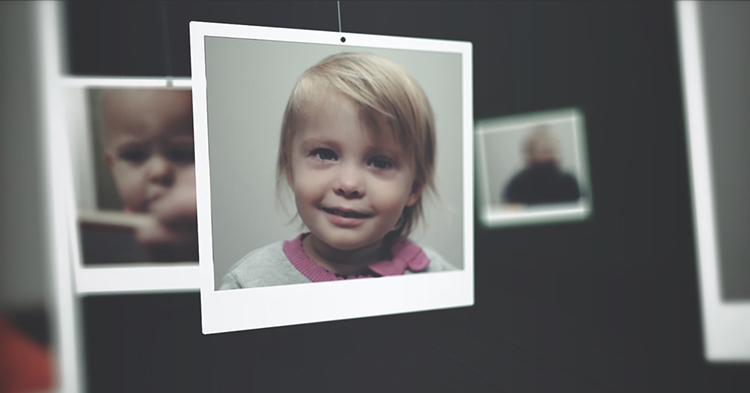 The part of the brain that we need to be online to really be able to say – take accountability and do the right thing or make a better choice may actually not be online in a moment that our child’s not doing well. So parents will often ask, well, what do we do, right? So when we look at my child having a tantrum in the middle of the large department store, what do I do? And I think a big thing is just shifting this understanding to realize that he didn’t choose to have that tantrum. It may look like he did, but it’s a response to excessive stress, and it’s his body dealing with it in any way it can to actually feel a little bit better, and that we as parents, we soothe. We soothe. And so we might scoop our kid up, take him out of there. We do the different things that we can to calm the – calm the stress response. And then we deal with the accountability stuff later. It’s not that we don’t want those things, but in that particular moment he’s saying, world, this is more than I can handle in this particular moment. So we become stress detectives and try to figure out why and why now in the moment, but also overall, you know, how we can set our kids up for more, better success. Interviewer: So as a parent in this stress detective role, how do I recognize the signs of stress coming on? Interviewee: That’s a great question. Yeah, you know, and so we talk about the difference between recognizing stress behavior and misbehavior. And so misbehavior – and it does happen, right? Of course there’s times that things are intentionally done, they knew better, the kid was in a fairly – in a relatively calm state, in a good – that – call it a blue brain state. But in terms of stress behavior, it’s beginning to recognize when something doesn’t – when it – when we’re trying our – let’s say our behavior management or our parenting strategies to deal with a problem and it’s not helping, we’ve tried our – the different approaches to behavior, they don’t seem to be helping, the behavior doesn’t seem to make sense, or beginning to really recognize some patterns. So children that are having tantrums every afternoon at 2:00, well, that’s a pretty good sign that there’s probably excessive stress involved. And it’s been a long day. Children are – these are little people, and whether they got a good night’s sleep the night before, ate well, the social demands of being around a lot of other children, although very positive, can also be very draining. So we look – we look to try to understand the why and why now. And it’s easy to just look for the obvious stressors. So you may know that there’s a parent separation going on, or not the greatest nutrition, or you’re worried about the child’s sleep, or – those would be some of the obvious ones that you look for. We dig really deep, and we look – because some of them we can change, and some we can’t. We look for the hidden stressors. So a child with allergies, I mean, you might think, what’s allergies have to do with behavior? Well, it has a lot to do with it, right? Because if you’re struggling with allergies, those are stressors that, again, are demanding the same finite energy, and leaving a little less in the tank for the child to do all of the good things that you want them to do. Allergies is an example. Really strong emotions is another. So not just negative ones. Disappointment might feel excruciating to a child, and they just need us to help them through. But equally, so can excitement, positive – it’s a positive emotion, but it can still be depleting on the energy system. So we begin to look for signs of excessive stress, things that don’t seem to make sense, and we try to look at it through this different lens. Interviewer: How can we help them through those strong emotions? Interviewee: So often, people will hear about the work we do in self-reg or self-regulation, and again, I went – talked to you in the beginning about how there are these different definitions of self-regulation which confuse folks, because different – there are programs out there where not – we don’t do a program, but there are programs out there that focus on more like a self-control kind of ideal, or social/emotional learning. And our approach is really quite different. So it’s not that we are trying to do things like get children to name the emotions and these sorts of things, which are all good evidence-based strategies, if the child is in that blue brain, so has that social brain and that ability to problem solve online. They’re not in that over the top stress response, which is a limbic state, red brain. So what do we do? We help them through the strong emotion. And so by that, like the example I gave from the large department store, and your child is becoming very demanding or whatever. You’re walking through the checkout, and as a parent, you look at that and you might think that has to do with character, when really, it’s not. It’s an overstressed child with bright lights, you know, demanding their energy, noisy stores, the impulse to buy. These are all stressors on children. And so we say no. We say no, and then we help them through the strong emotion. So I understand, that’s disappointing. It’s not about any magic words. It’s about soothing and helping them – we say bring the blue brain back online. So that – which is just a metaphor, right? That – it’s that calming side of things. So if sometimes – some of the most soothing things can be just a lowered voice, the parent keeping their own calm. Hugs can be something for most children. Like there’s individual differences. So for some children, that’s not soothing. For most, and many of us, that hug, it can actually have an effect on the – it’s calming to the central nervous system, right? Interviewer: So it’s just as important for the parents to regulate their own stress levels and have that soft approach with their children, as they’re experiencing stress? Interviewee: Yeah. And I would even say having the soft eyes for themselves. So sometimes when – I mean, this is not about with an individual, so self-control would kind of look at it as all about the individual. But self-regulation really look at it in dyads, within relationships. We were – Steve Borges talks about the fact that we weren’t – we didn’t – we didn’t evolve to be singletons. And so we learn to self-regulate within the relationships, within the calm other – that other, the adult, you know, has the blue brain, if you will, to lend the calm to the child. And so we have to recognize our own stakes are huge in the mix. And look, that doesn’t mean that – I would never want a parent or an early childhood educator or anyone to hear this and say, oh, you know, start to feel bad about something they did or didn’t do. I could tell you so many stories about when I didn’t get this right, and not just in the past, but even in the present, knowing as much as I know about the science. I still have red brain moments, too. I’m a human being, like all of us. But when we begin to recognize, okay, you know, my reaction in the store when my child had the meltdown, or when my – you know, my daughter didn’t do her chores as she was supposed to, or when the infant was fussy, fussy, fussy, fussy, that actually triggered a red brain response in me as well. And sometimes just recognizing that can help. And then when you do, you have to work on – you have to notice it. Sometimes that’s all it takes to suddenly go, ah. And then you do whatever works for you, even if it’s just taking a few moments, a couple of breaths, or whatever it is that you can do to get yourself back in a state so that then you can help your child. Our state really has a huge impact on the children’s state. But equally, they can co-regulate us. You know, a child can actually help us to calm down in all sorts of ways as well. Yeah, it’s absolutely about relationships. Interviewer: And so particularly in the work that we’ve done in early childhood, and I see this a lot with parents and families – in infancy, for example, we talk about reading the infant’s cues from very early on. So understanding when they get fussy, what are those stress factors? Are they tired? Are they hungry? Is the diaper wet? Do we need a diaper change? That kind of thing. And so again, to your point, I hear that sort of intuitively from parents. Interviewer: And they begin to read the infant’s cues, and respond to them, so this idea of the fussy baby, and you can’t spoil them. We can be responsive as parents. But the other – the flip side to that, in the context of the relationship, is that parents need to understand this, too, that they have their own stressors, and it might be stressing them out that the baby is crying, right? So taking that breath and taking a step back and saying, okay, calm down, and let’s see if we can calm my baby down. Interviewee: Yes. Absolutely. And the other piece to that, we – sometimes I joke that we seem to really read cues and recognize them as stress responses in under 2 and over 80. We miss that it happens to all of us in between, right? Interviewee: The other interesting factor to add to what you just said about a parent recognizing their stress response as well is that yes, that’s part of it, and that reading the cues, and once you begin to learn some of the other – more and more cues, you can begin to see them, changes in pupils, changes in how the body is – where the breath is happening. There’s all sorts of other cues that you can look for that are signs of excessive stress, that go across the lifespan in all different ages. But the other piece I think that’s really key to this is for social stress. And so I find this one lightens the load on parents, when they, as well as recognizing that their state matters, so, okay, you learn all the facts about the child. They’re not trying to drive you crazy, that they’re not trying with a fussy response, and that you can recognize it’s a cue. But you’re having this massive stress response as well. And so it can – pro-social stress, for some of us – that is taking on the stress of others. It can also be injustice, so a sense of injustice, can be really, really hard on us. I used to find it excruciating when my daughter was little and she would have leg pains, she would have leg pains, and no matter what I did, I couldn’t soothe her. And I would feel my normally very patient parenting kind of – my voice would go high. All of these things would happen. And so much of it was – when I reframed it to self-reg, I realized that wasn’t me being a bad mom. You know, I still – I made it through, but just barely, you know. I did everything I had to do, but I had to force myself to really stay there and be the right parent for her, and I used to feel quite guilty about that. And then when I understand a little more of the science, I recognize, no, it was excruciating to me to not be able to soothe my own child. Right? And she was colicky as a baby. The first four months was the same. It was excruciating. And so that’s a stressor on me. It doesn’t mean that just noticing that takes it away, but it does help you reframe that you’re a loving parent, and it’s just that this is more than you can handle right now, or this is really pushing your stress system to the max. And so can you take respite? Do you have a loved one that’s offering you help, and you can just take a few minutes to yourself? Is there – are there little ways that you can work on bringing your own response down? _____ nice to yourself. You’re human, right? And so that then you can be what your child needs you to be in the moment. Interviewer: Very good. So it’s all interconnected. The child’s development, my role as their parent, and the family as a whole, we’re all growing and learning together. Interviewee: We absolutely are, with health and wellbeing all around. Interviewer: This is the things you can do part of The Parentz Pod, when we talk to you about how you can connect with programs and resources in your Arizona community. On the topic of stress and parenting, the First Things First website has a lot of great articles and entertaining videos you may want to check out. Our First Things blog is specifically for parents, and we also have an online parent kit with lots of information for parents of kids from birth to age five. Check it out at FirstThingsFirst.org. And if you like the content, subscribe to our monthly parenting email newsletter. Knowing more about early childhood development can help you be a better parent for that little one you love so much. 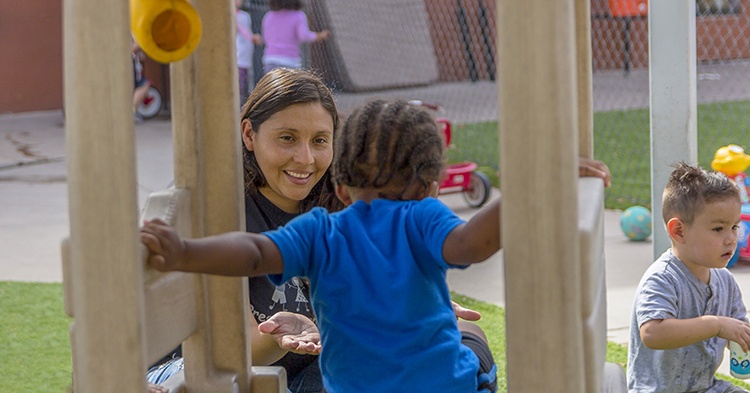 And there are all kinds of free programs available across Arizona, like parenting workshops and classes and home visiting programs, where you can work with a trained parent educator to help you better understand child development, how to deal with stress and challenging behaviors in a positive way, and just be the best parent you can be. You don’t have to be perfect, and nobody is, but there are some simple, practical things you can learn to make parenting a little easier and more effective. 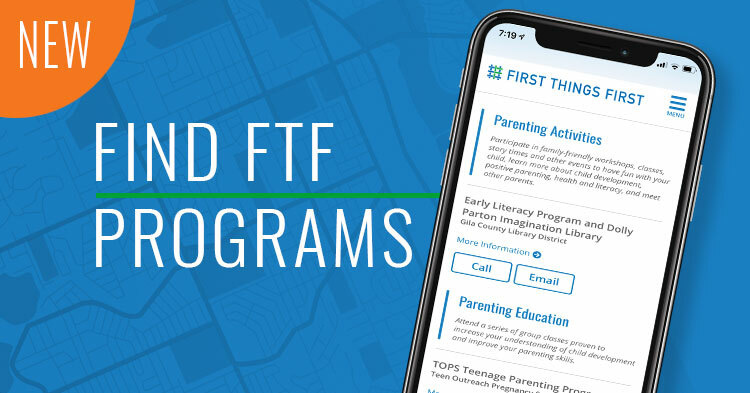 Go to the First Things First website and find your local First Things First region to learn about the programs available near you. The Parentz Pod is brought to you by First Things First. 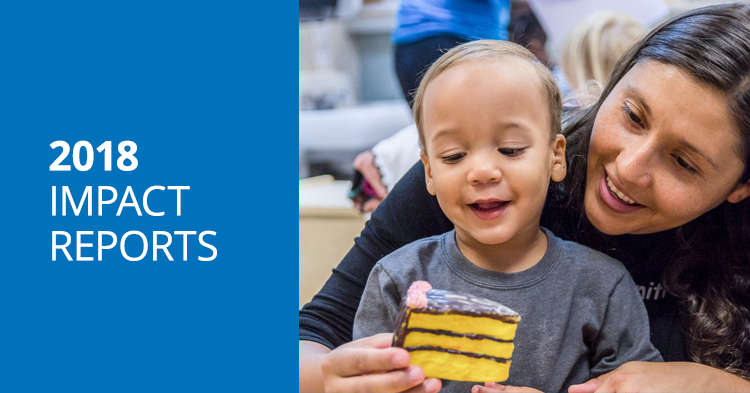 First Things First is committed to supporting the development and learning of Arizona’s kids from birth to age five, so that more children arrive at kindergarten healthy and ready to succeed. For more information, visit us online at FirstThingsFirst.org.